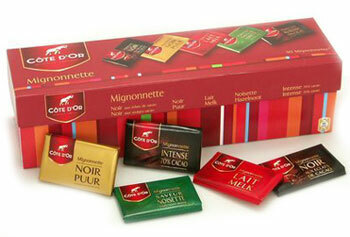 Individually wrapped Chocolates 10g available in a wide range of flavours, Milk, Noir, Puur and Praline Chocolate. 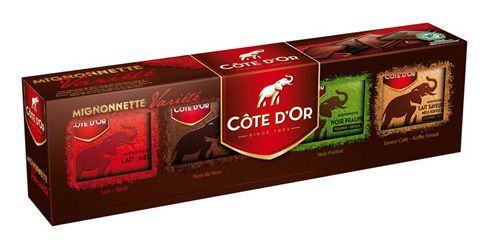 Good things come in small bites ! 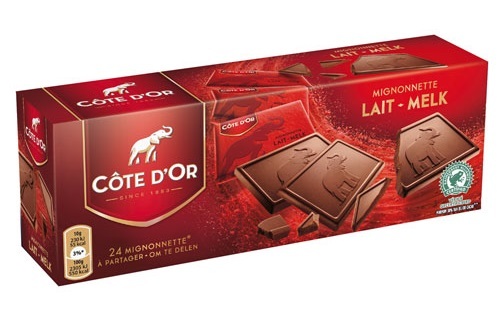 These individually wrapped Milk chocolates contain min 33% cocoa and weight 10g each. 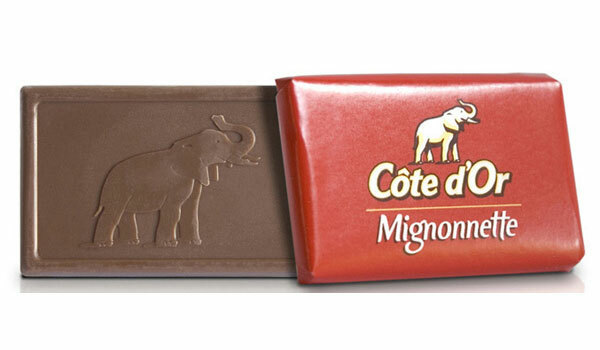 21 Cote d 'Or Mignonnettes Double Lait, Min 33% Cocoa. 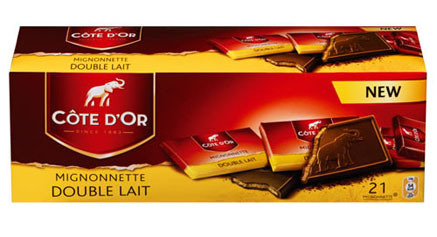 Individually wrapped, 10g each. 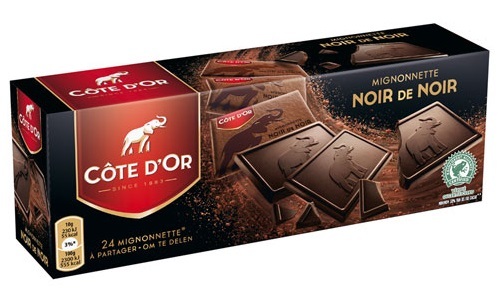 Cote d 'Or Mignonnettes Noir Praline, 21 Individually wrapped Noir Praline Chocolates, 10g each. 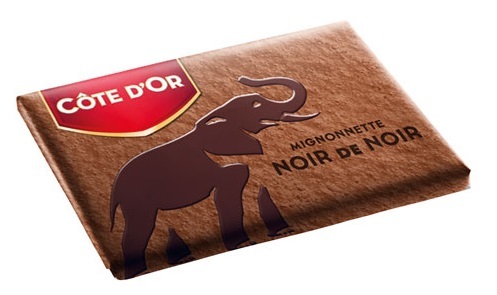 Mignonnette Intense , 70 % Cocoa , Intense Dark chocolates, velvety blended with sophisticated ingredients . 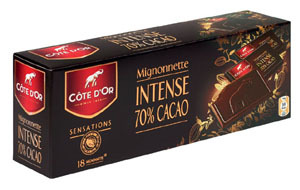 Box contains 18 individually wrapped Chocolates, 10g each. 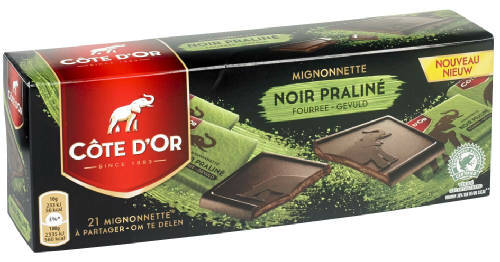 Individually wrapped Milk Chocolate Mignonnettes, min 33% cocoa, 1.2 kg - 120 x 10g Mignonnettes.